Well first of all…hats off to the Showmasters’ team! What a great day! 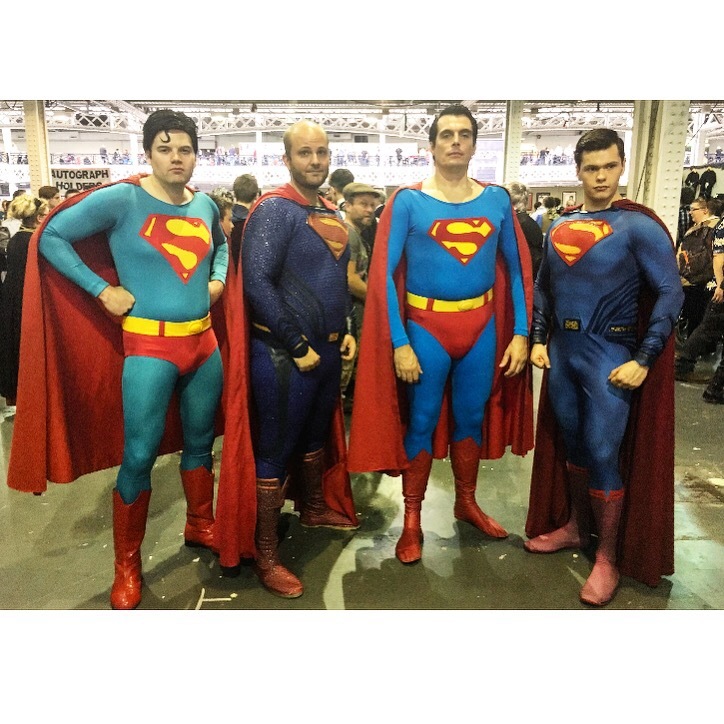 Guests suitable for everyone – most definitely for Superman fans too – and amazing stalls, comic artists and Cosplay! 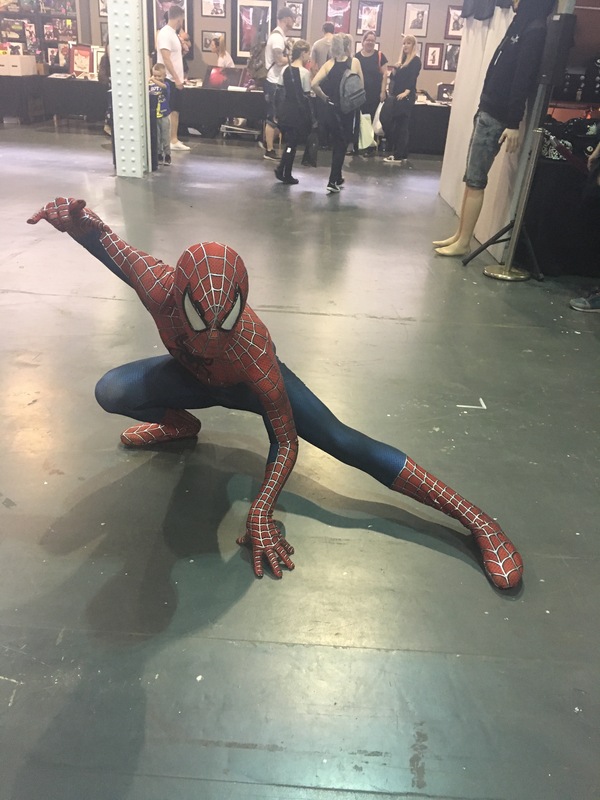 This show is definitely the biggest and best comic-con I have been to… So far. 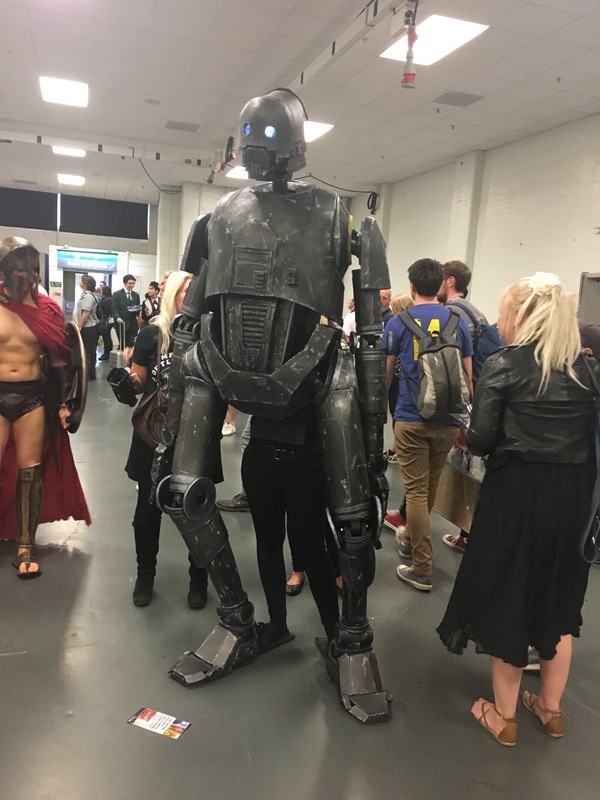 I’ve been to a fair few cons myself, but hadn’t been for a year or two and this really reminded me of how amazing they are. Nerds united as one, meeting their heroes and spending a small fortune on autographs and memorabilia. 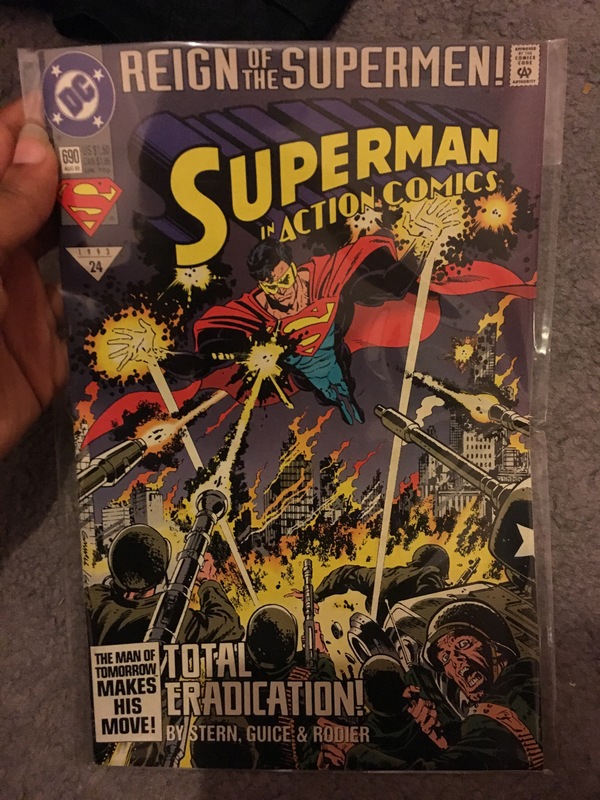 In all honesty, most of the cons lack guests that I’m interested in (of course everyone’s ideal candidate is different), but for me its all about Superman – clearly. But it is still worth going, just for the atmosphere and craziness of it all. I usually only get a day ticket, which is fine if you only have two or three autographs to get, but if you want to get into the talks and photoshoots, I’d recommend a weekend ticket. 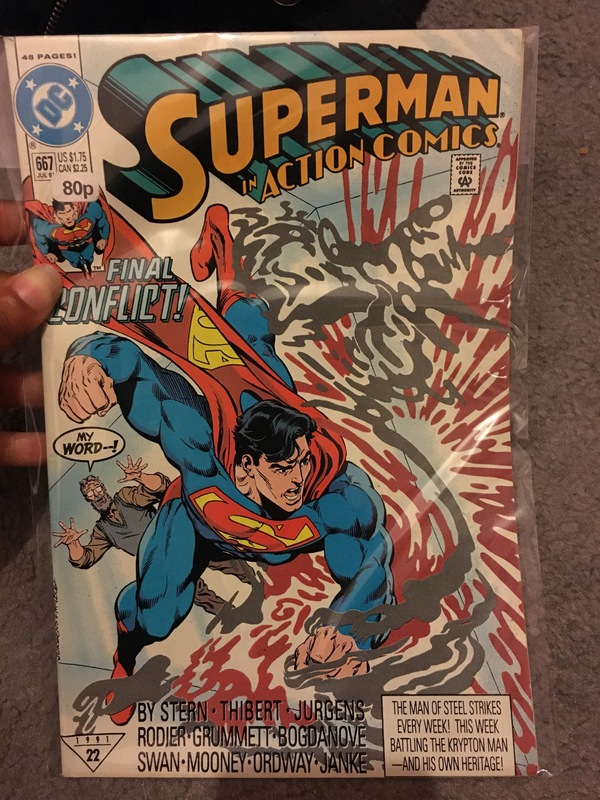 My hit list was of course most of the Superman guests…. 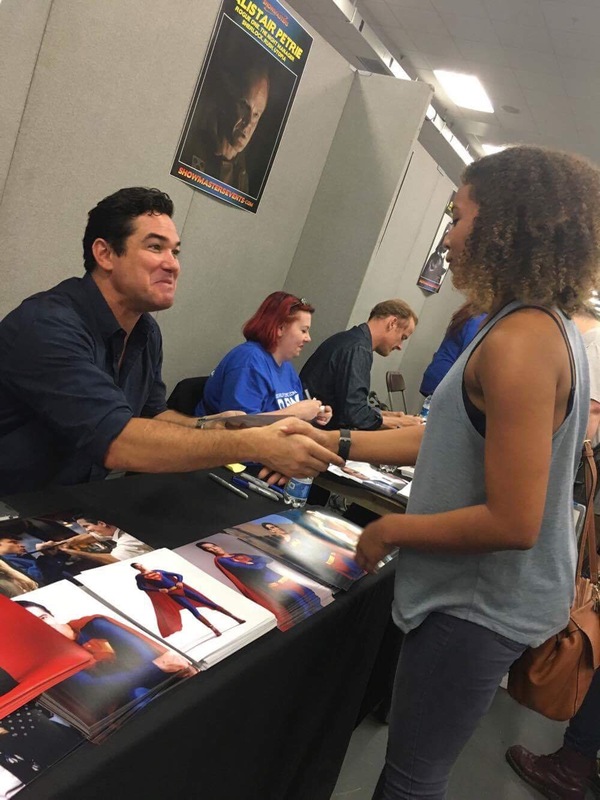 Dean Cain, who played Superman and Clark Kent in “The Adventures of Lois and Clark”. 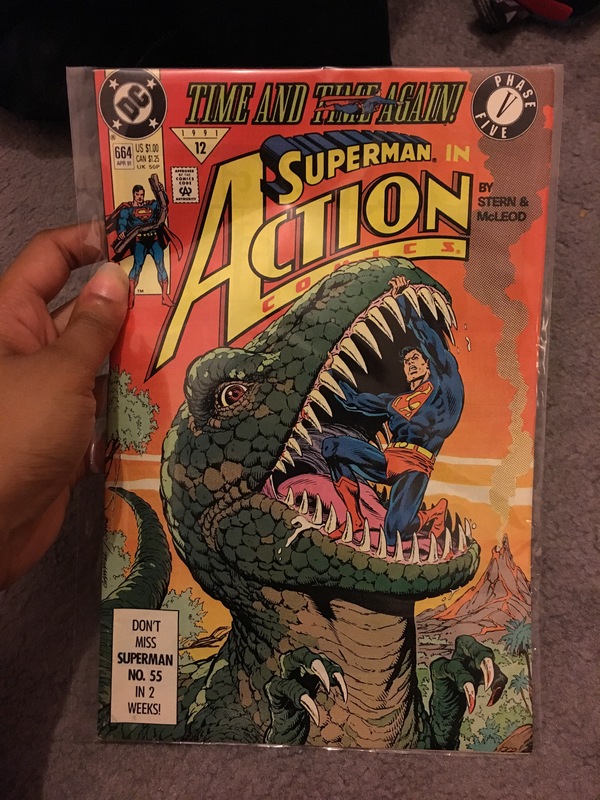 I used to watch this back in the 90’s as a child with my granddad and this is the first memory I have of Superman, even before Christopher Reeve. Margot Kidder, who played Lois Lane in the original Superman movies with Christopher Reeve. 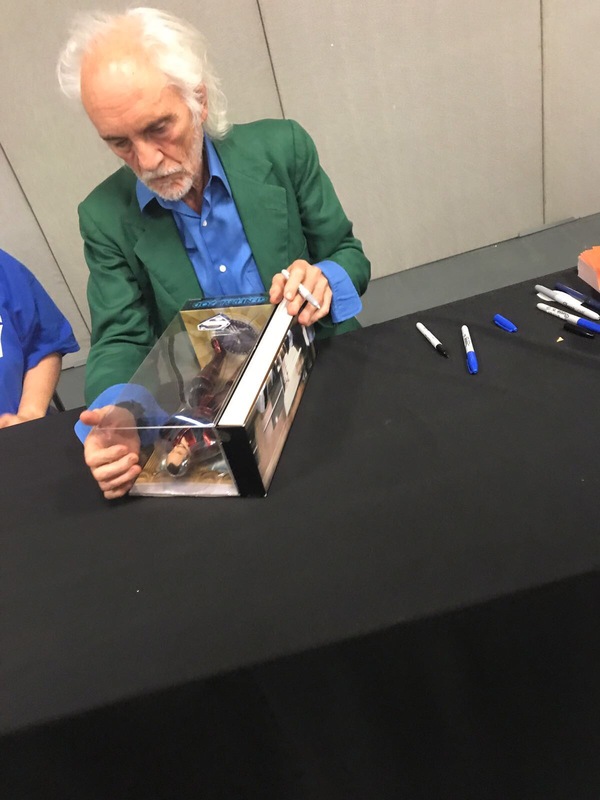 And the biggie – Terrence Stamp – the first and original General Zod! 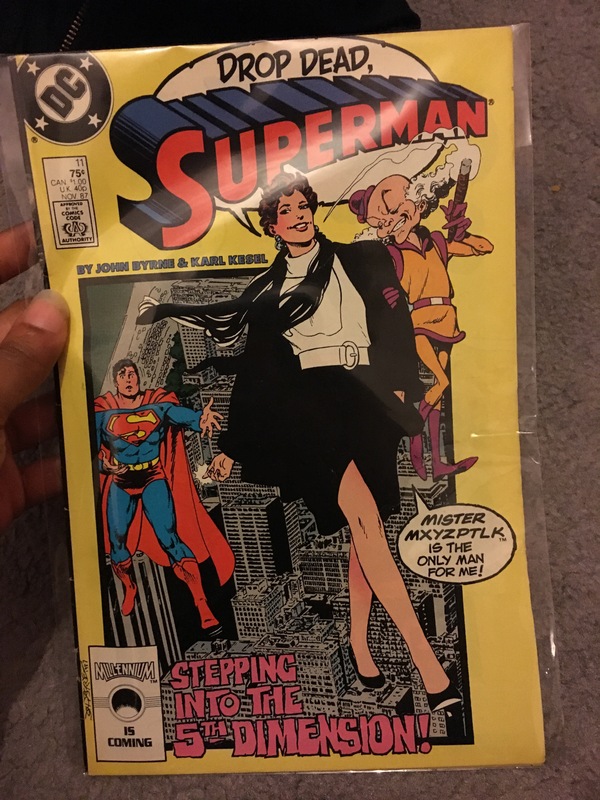 Also attending, who I didn’t see was Ursa from the original Superman movies – I had to set myself some sort of spending limit! 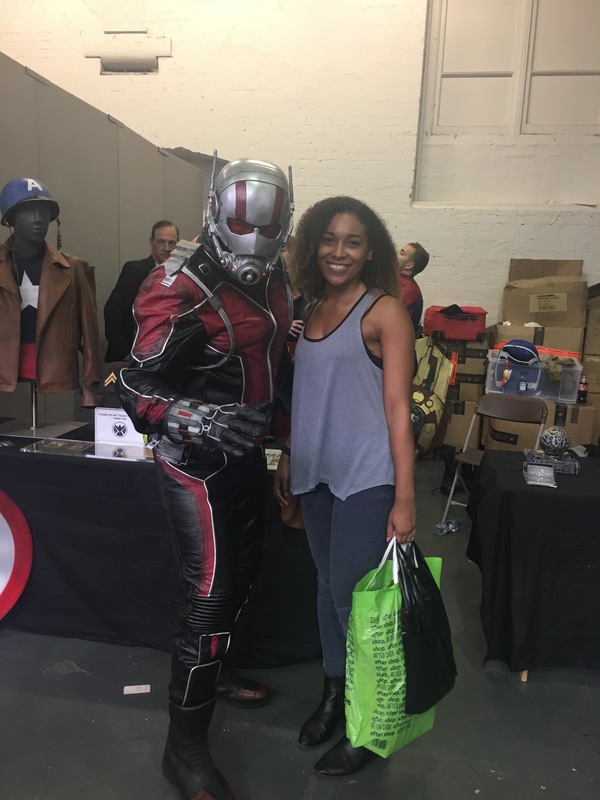 Click the link below for a full guest list and more information on the show overall – London Film and Comic Con. On the site you can only book attendance tickets and also photoshoots, but I just wanted autographs, which you had to get on the day. 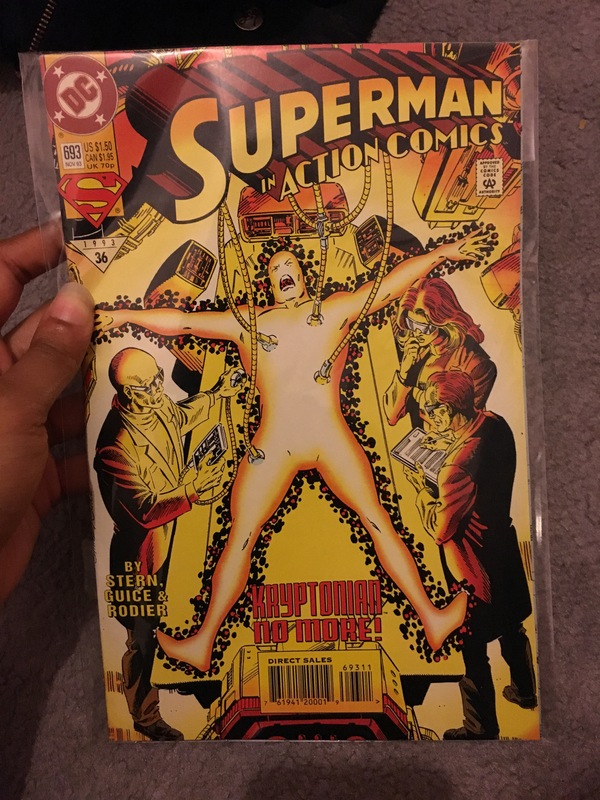 I have to say the process for this was terrible (sorry Showmasters). Terrence Stamp was a very popular man, as was Benedict Cumberbatch. Basically everyone rushes to the signing desks – which were all over the place – then you got given a number, which is just a piece of paper, then you have to keep heading over to the signing desks to see if your number had been called. For dedicated fans you could also buy Diamond Passes, which were over £100.00 – but it does guarantee you an autograph. But until we got there on the day we didn’t know that they would prioritise these on the day. I’ll go into detail my experiences with the guests I did get to meet, but for Benedict Cumberbatch my number was 489 and he didn’t even get to start 1-50, as so many people had bought the diamond passes. Which was so disappointing as they have weekend access and can go anytime they like. I think they really need to re-think they way they do this, as there were LOTS of people who got annoyed at this. The diamond passes also got photographs, so they would go get a photo with them, then come back to get it signed, which is what took up most of the guests’ time. Dean Cain was lovely! A genuine, nice guy who took the time to talk to EVERY single person that came to meet him – you can really tell he values his fans. At first he thought my name as Tasman (close…) and started to tell me about his holiday to Tasmania, then he realised it was Tasmin. My number for Dean Cain was 115, which wasn’t too bad. He got through them quite quickly and he was the first guest I got to meet. We arrived at the Con at 9am sharp and my number got called at around 12pm. Then it was time to meet Terrence Stamp. Nightmare! My number for him was 289, which isn’t too high. But then take into account the hundreds of diamond passes, photoshoots and talks that he had to do. We kept checking back ALL day to see if my number had been called at it didn’t pass 150. It got to 4pm (the show closed at 6pm) and it wasn’t looking good…Luckily my boyfriend is a bit of a charmer and he got talking to the lady working there who said that Terrence was now going off for a talk and would be back at 5.30pm to do some more signings. At this point I was getting really worried as he was the biggest guest there for me! 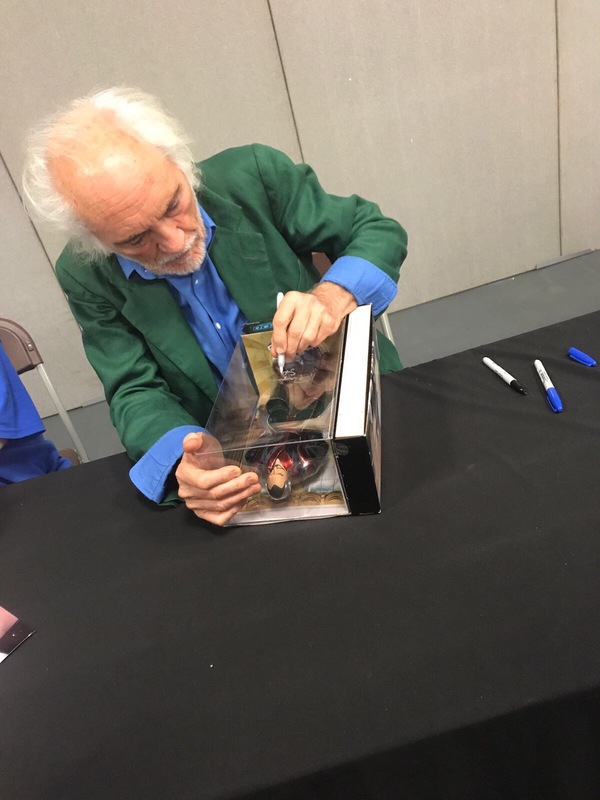 I had also bought a £60.00 figurine for him to sign, which I had carried around all day. We went back, hopeful. Still no change on the number, then we saw a few people who were in the same situation as us. So we kind of teamed up, joined the queue (even though we weren’t supposed to) got to the payment desk, then the lady asked for our virtual ticket (the dreaded number). We had folded it over so you couldn’t see the number, and handed it to her – amazingly she didn’t check it and took our payment and let us through! Woohoo we beat the system! And it really made my day and theirs too. 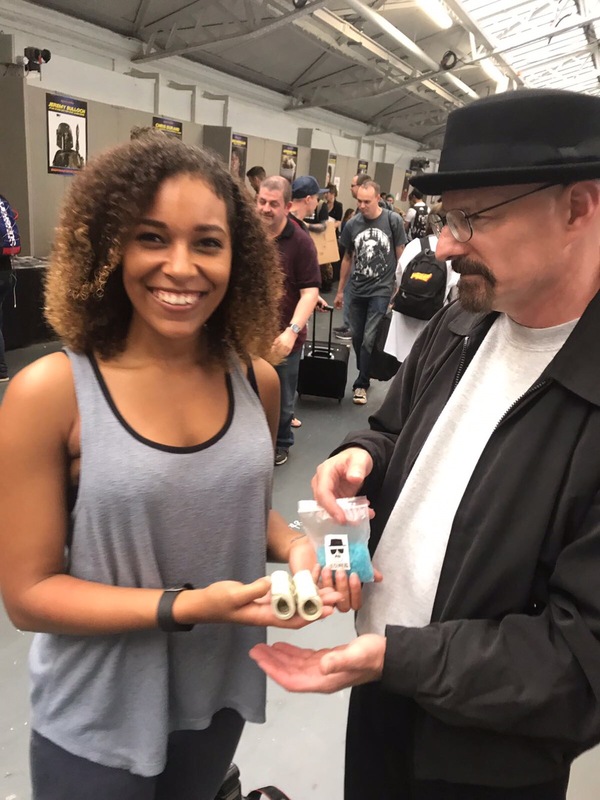 So when we got to him, I was shaking a little and asked my boyfriend to take photos of me meeting him – he was a terrible photographer and only got him signing my figurine – but I’ll let him off. After a day of thinking I wasn’t going to meet him, I did! And here is my signed figurine! He was a bit more formal than Dean Cain, as he had a lot of people to get through and he could see there were lots that were panicking! Unfortunately when we arrived, we found out that Margot Kidder had cancelled at short notice, which was a damn shame! I was looking forward to meeting her. 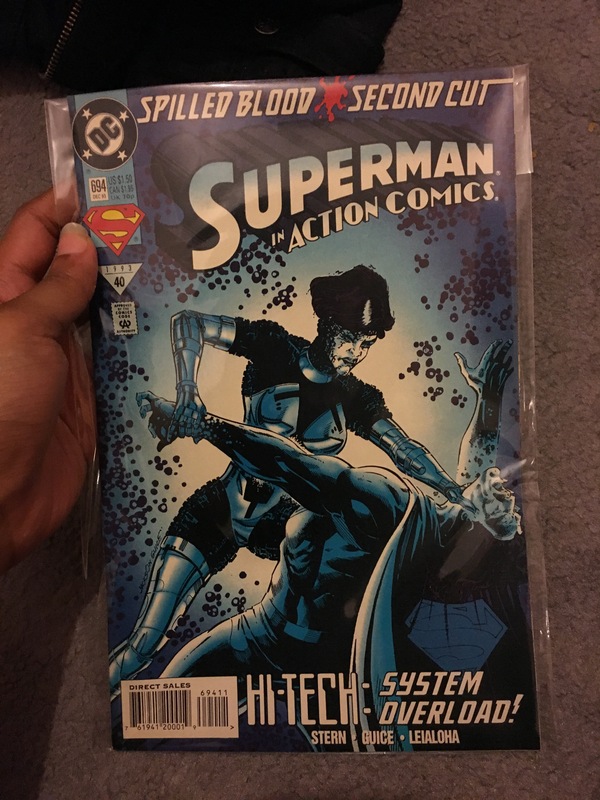 Supermen! 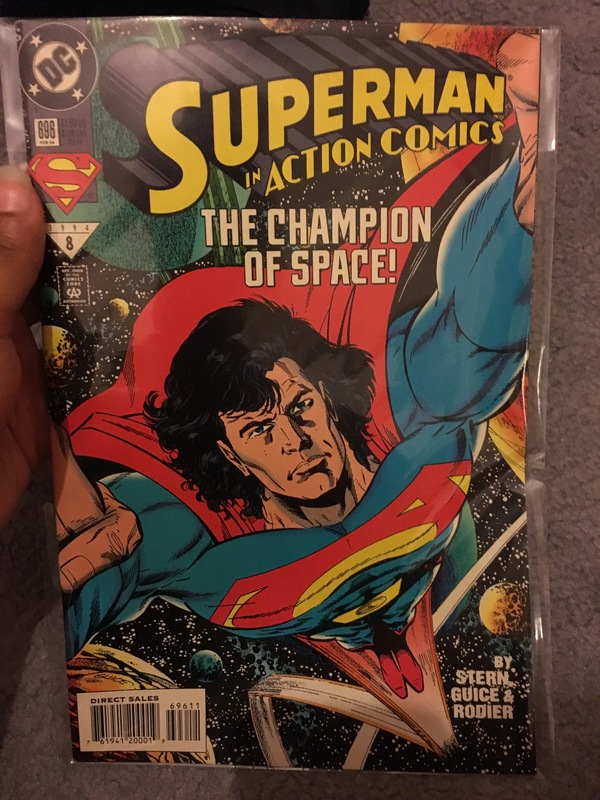 From Christopher Reeve’s original Suit to the Man of Steel! Adam West was supposed to be one of the guests at this years show, but unfortunately – as you know – he passed away. 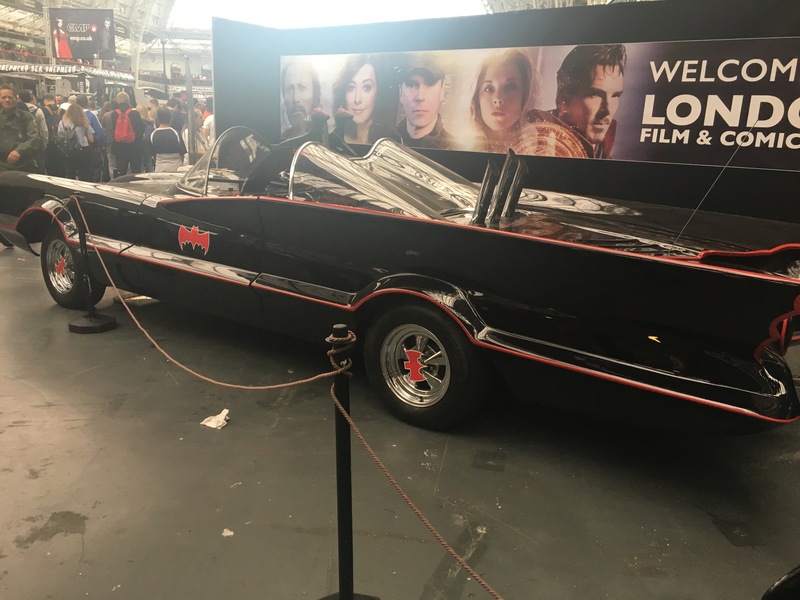 The Batmobile! Now for the goodies I got! For £2.50 I wasn’t going to say no! 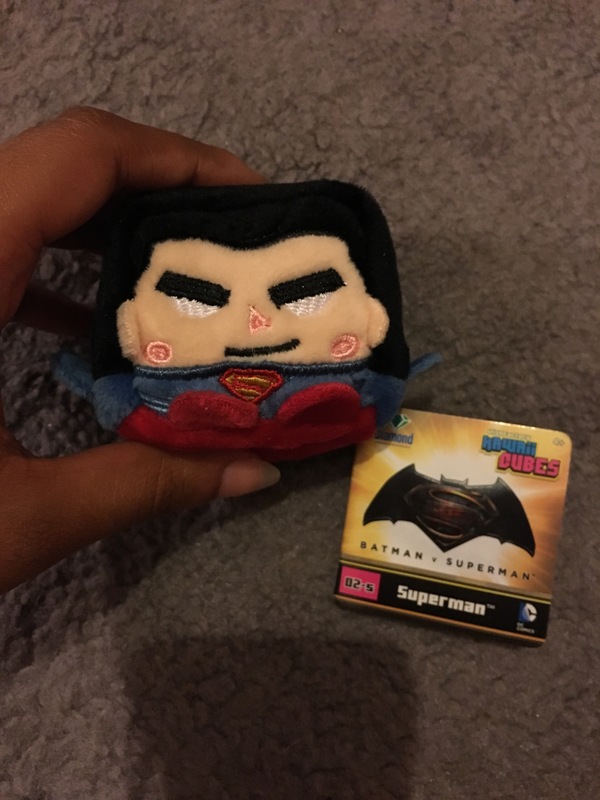 3- Superman Vinyl Idolz – He has crazy eyes but it’s great! 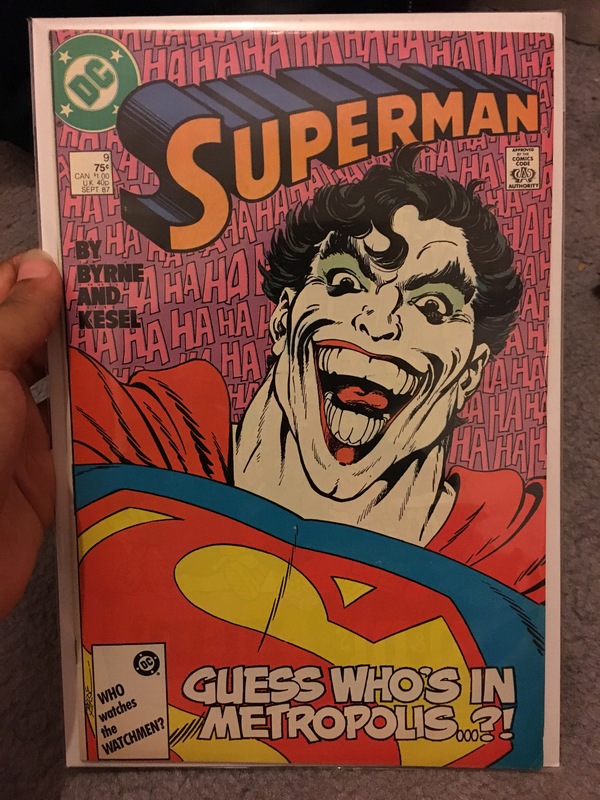 My favourite cover of all! 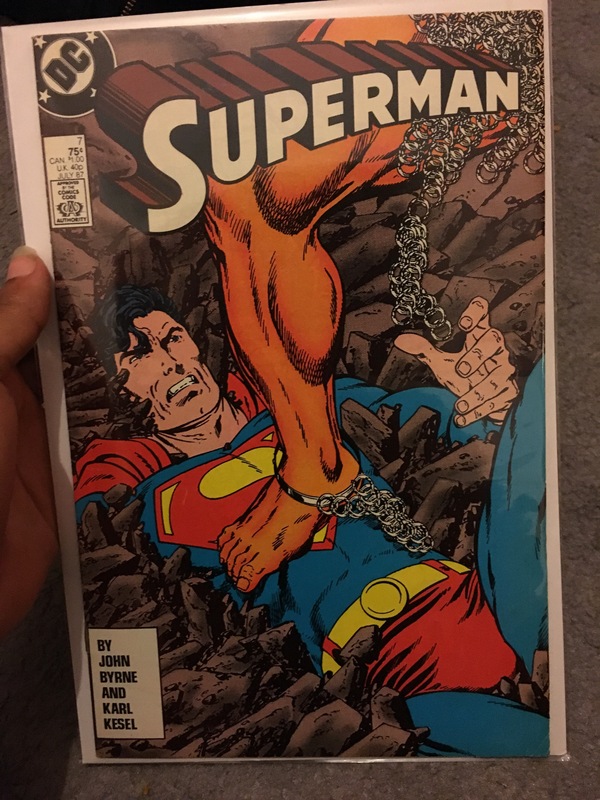 19 – Superman Vol 1 – Issue 202. 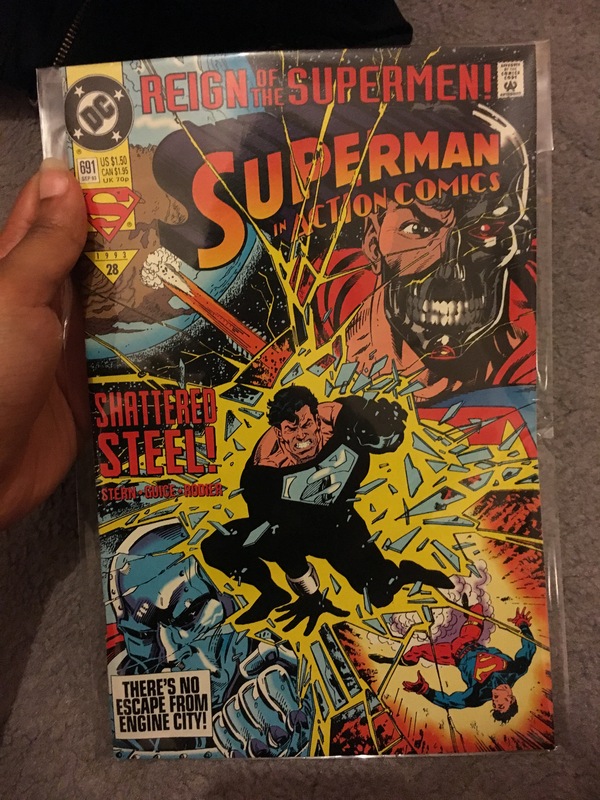 This was £5.00 for the comic, but it’s in great condition! 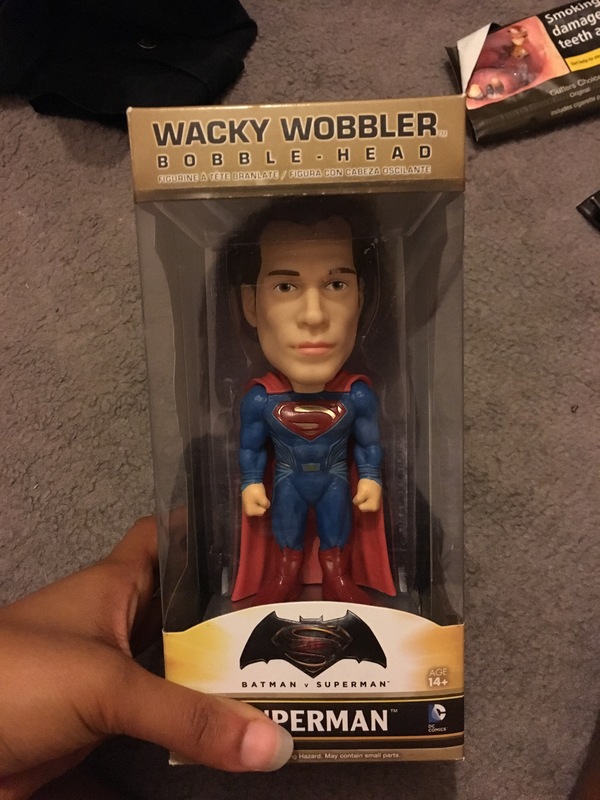 20 – Superman Wacky Wobbler Bobblehead. Ignore the gross tobacco packet! This was just £5.00. 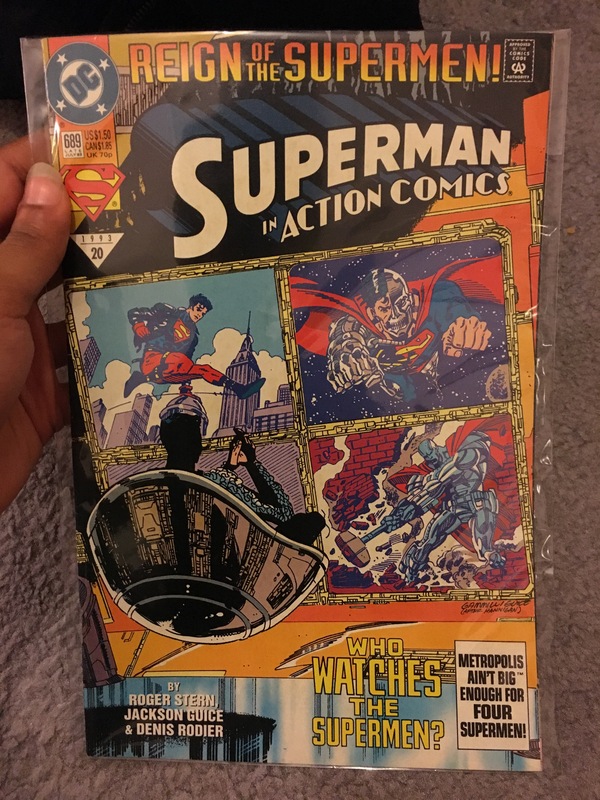 All of these goodies I got from round 3-4 different stalls – I’ll be honest there wasn’t too much Superman stuff around, which was a shame. But I got one hell of a haul! This got my collection up to 1001 individual items. Thank you for a great day and see you next year Showmasters! 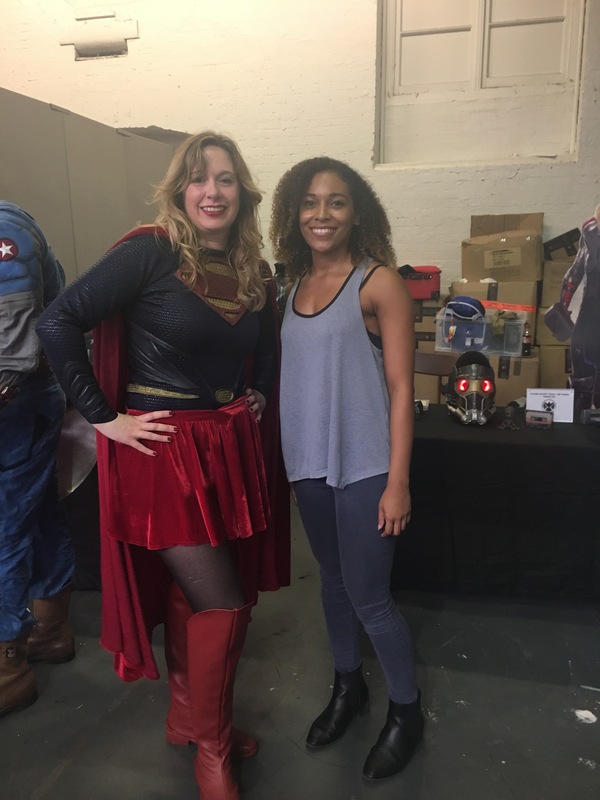 To see the other geek events I have been a part of, click here! 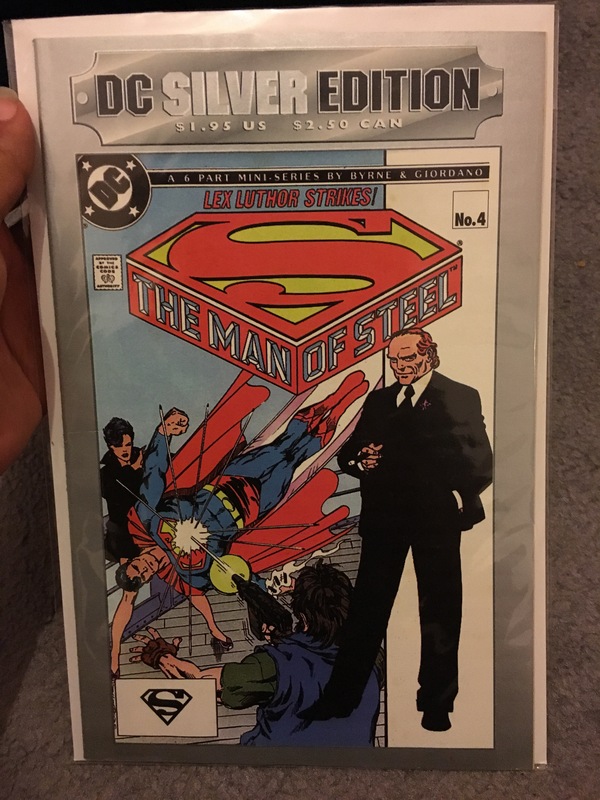 Congrats on getting the autographs of Margot Kidder, Terence Stamp, and Dean Cain. I had the pleasure of meeting Ms. Kidder once. Also, nice recent collectible haul! 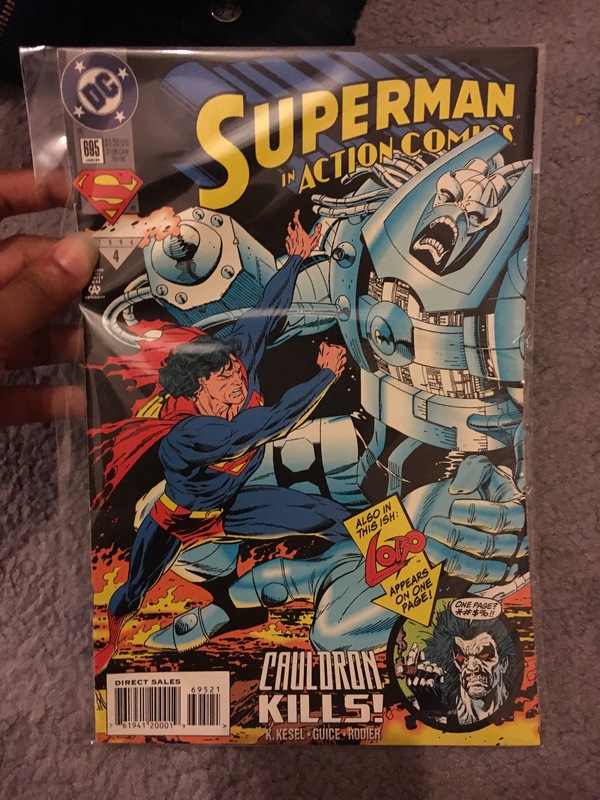 You’re really assembling quite an array of Superman comics. Nice new layout and title for your blog. I’m trying to find out how to “like” a post or comment within WordPress (as opposed to email) but can’t seem to find it. Thank you! But unfortunately I didn’t get to meet Margot, see cancelled. The others were great though! I’m working on comics more than anything at the moment. The comments also don’t show via my wordpress app, which is annoying. I’ll look into it!